I am SO ready for Halloween. How about you? My kids have picked out costumes and are excited to go get free candy. I like having Halloween get-togethers with friends. We did a pumpkin carving party a few years ago that was super fun for the kids and the grownups. 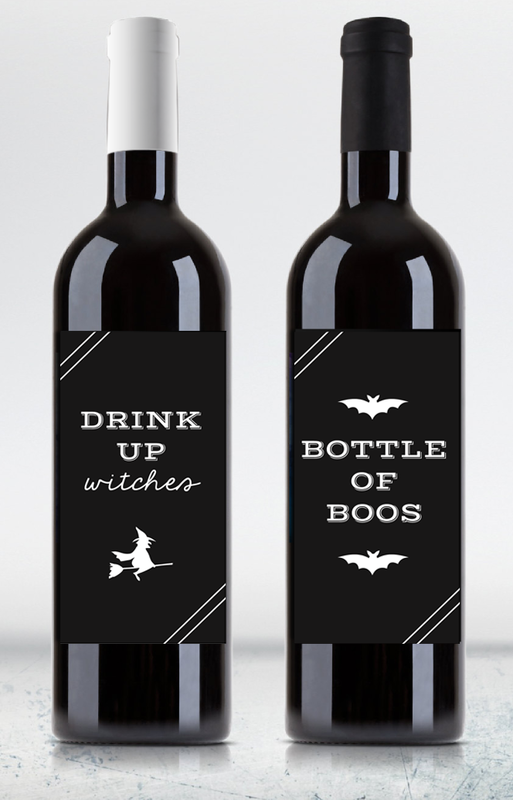 Here are some funny, free printable Halloween wine labels for you to use. All you need to do is print them on some sticker paper and adhere them right to the bottle. They have sticker paper right in the office section of Walmart and Target. Here’s what it looks like. To print just click here. Save the .pdf file and print. Easy peasy. It’s got ALL the printables you need for a super duper holiday and it’s 87% off.